century polymath together for 5 years now. We even brought our very own bishop (and medieval scholar) with us in the form of David Thomson (Huntingdon). Familiarity (and depth of scholarship) go back far futher for Prof. Cecilia Panti who joined the group once more from Rome, and Neil Lewis, who ‘skyped’ in from Georgetown. It felt rather like a family gathering with new friends. Ceratinly Ordered Universe workshops are increasingly anticipated with a growing sense of academic excitement (What will we uncover together this time? What will I learn about the unfamiliar but intriguing disciplines that I find an increasing source of wonder?) but increasingly delight at working with these great people once more. Collaboration is so much more effective when working together is so much fun! 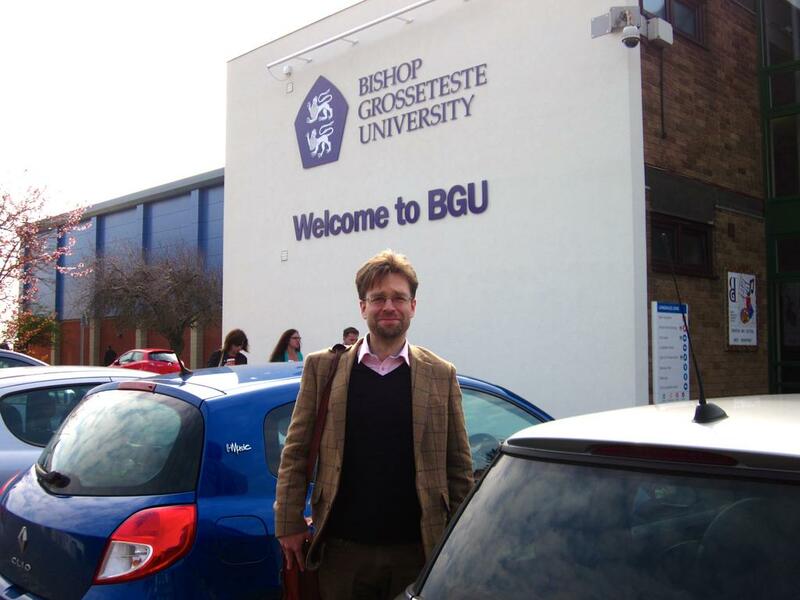 Our hosts, Prof. Jack Cunningham and his colleagues at Bishop Grosseteste University (it just keeps getting more appropriate…) made sure that the team was superbly accommodated in BGU’s new conference suite. The choice of this text by project maestro Giles Gasper was rational in another way: it contains a ‘first draft’ of the central section of DGS, and a marvellous theory of musical perception, based on ‘number matching’ that Cecilia had informed us the previous week originated from Augustine’s De musica. Rushing off to Durham University’s library to order a copy – I found that a Dr. Gasper from History had got there first. Excited anticipation – the evidence. All we can say on DAL is: watch this space. Light is perpetually with us, as it was with Robert Grosseteste as a constant theme in his thought, and a metaphysical and physical form and force within matter. We looked briefly at the third text in which he recapitulates his theory of sound, this time attributing it to the effect of light (in his Commentary on Aristotle’s Posterior Analytics). 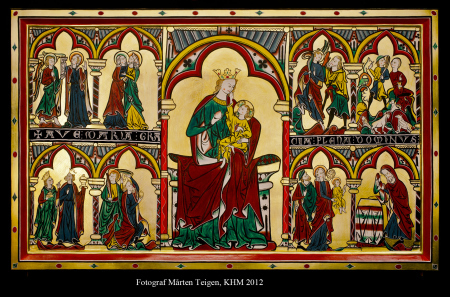 Our own knowlege and interest in medieval light and colour was greatly expanded by visitor Kaja Kollandsrud, Norweigian scholar of painted ecclesiastical art of the period at the Museum of Culture in Olso. Her blog, together with its wonderful artwork and reconstructions is here. Our revisting of Robert’s great work on sound was a successful second stage in every sense. Inspired by what the text says about the geometries of motion that produce the vowels, David Howard of York University brought some marvellous demonstrations of how the shape of the vocal tract shapes, in turn, the sounds of vowels. DGS meets 3D printing! 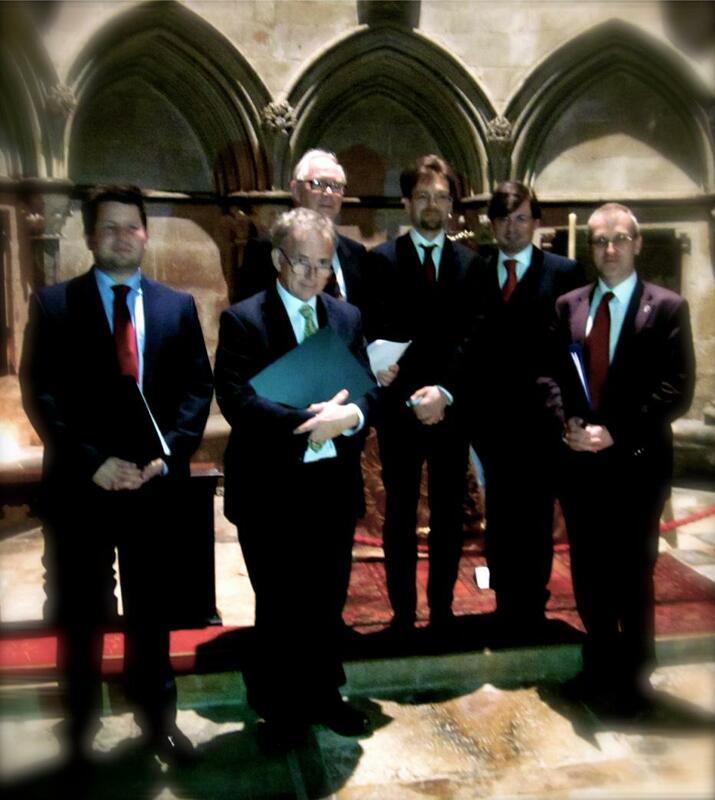 A much-anticipated ‘low point’ of the Lincoln visit was the first performing outing of our home-grown medieval polyphony group Cantus Infirmus. As part of a short liturgy following Richard Bower’s truly cosmic public lecture, the silver-throated six tried a full 15 minutes of the patience of the assembled company with Perotin’s Viderunt Omnes (down a fourth). Perotin was master of music at Notre Dame when Grosseteste was … well… somewhere, around 1200. The groundbreaking setting of words from the 92nd Psalm develops nuance in every vowel sound you would ever wish to hear. The full experience can be self-inflicted anew here, thanks to the long suffering Oxford polymath John Coleman. The Ordered Universe project continues its unearthing of of the medieval foundation of modern science, alongside its tour of the senses through Robert Grosseteste’s writings, later this year. This was a very special time, and tbe Cross-disciplinary discussion was really helpful. It may be the first time such discussion has helped shape a Collect too! 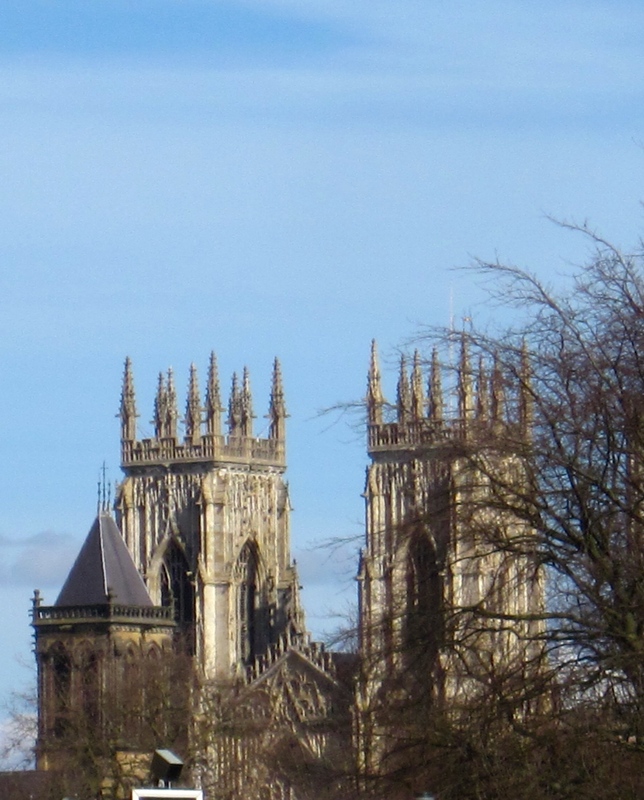 A reblog from a post of mine on our medieval science project. Latest revelations of thought from 13th century ..